"It's pink lemonade with a watermelon flavor. Really good!" 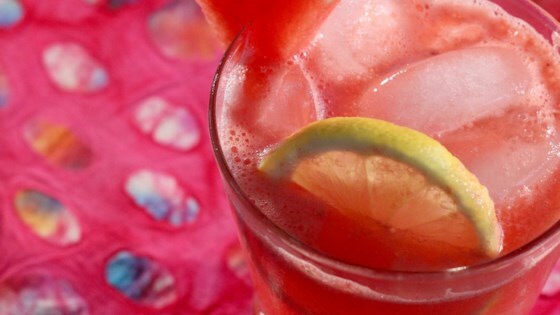 Combine water, lemon juice, sugar, and watermelon in a blender. Blend until smooth. You may substitute honey for the sugar.